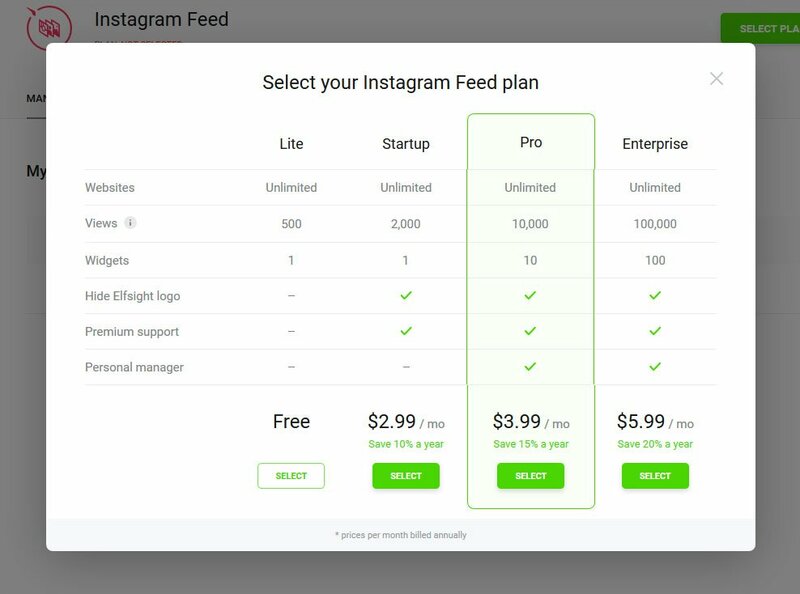 In this review we will provide a comprehensive guide on how to place Instagram widget InstaShow to a Webnode website. We will make use of a product developed by Elfsight Team – an outstanding cloud service with ready-made solutions for web platforms. BONUS: See the demo version right now! 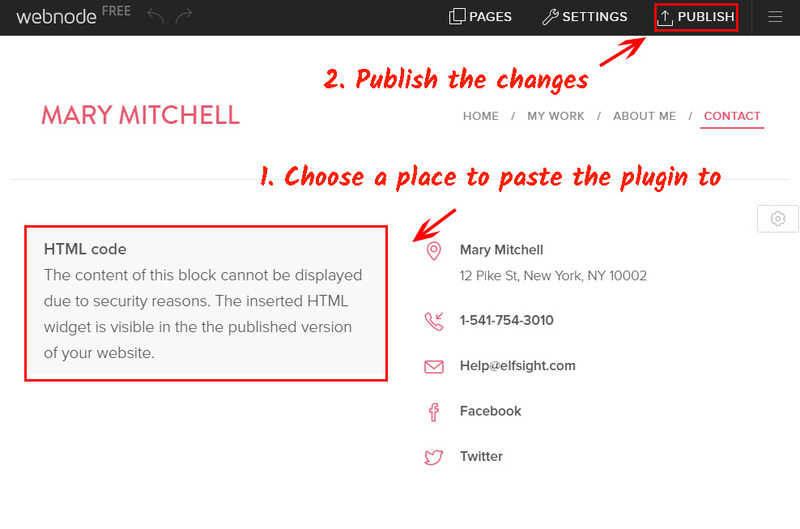 Follow a couple of simple steps to get the plugin to the appropriate web page of your site. The estimated install time is below 2 minutes. First of all, to access our business resource, you should create an account. Give us only true electronic mail addresses and passwords to set up an account. 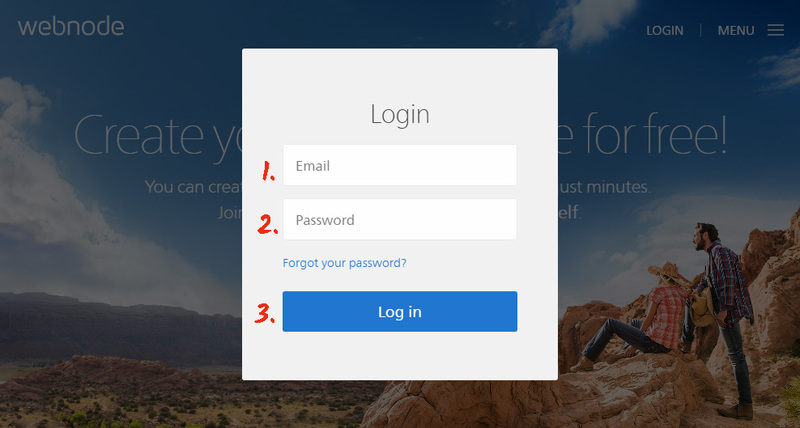 In case you already have a personal account, please, log in here. Our service includes different social plugins for websites. 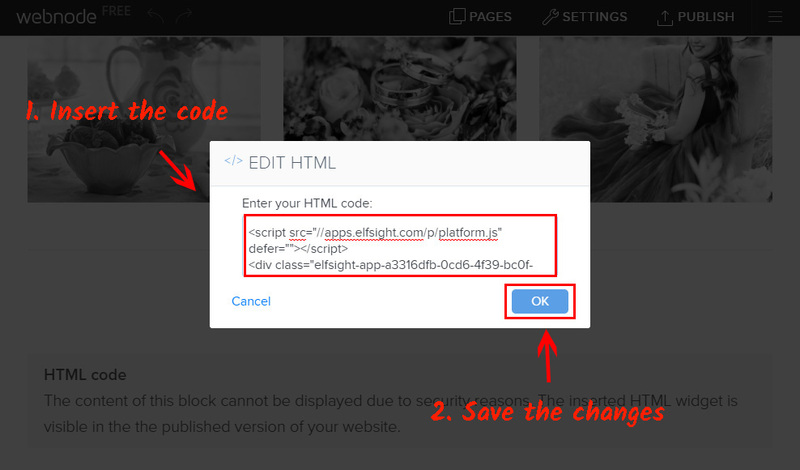 To set an Instagram gallery plugin on a Webnode website, you have to press InstaShow. 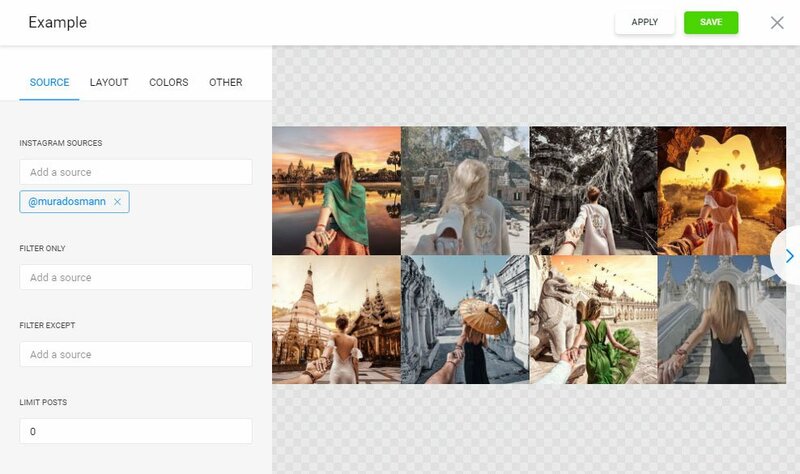 Pick the color schemes, styles and display configuration to create the gallery that will be best fitting for your website. You are able to view all the options at the plugin page. 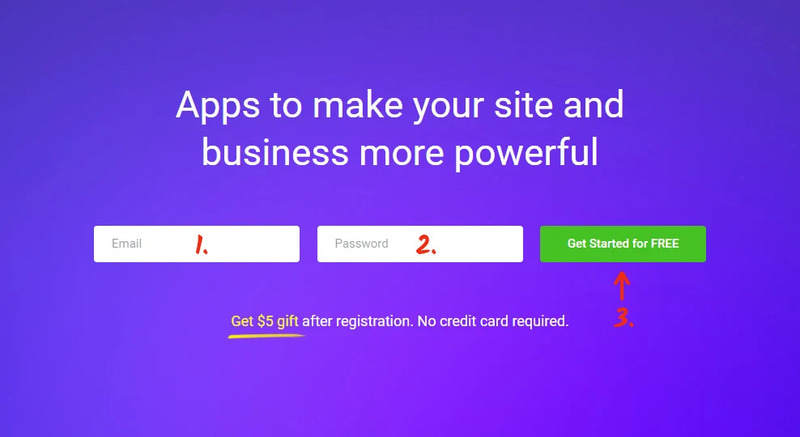 You’ll need to choose subscription plan in the table that pop ups. Subscription plans range from free to advanced. Considering how popular your webpage is, choose the appropriate plan and click “Select” button. The final step in our platform installation is to receive the widget html code by pressing “Get” button by the widget’s title. Authorize at Webnode to enter the sites’ dashboard. If you’ve got several websites, choose the one to place the plugin to. Edit the site by pressing «Edit site». Go on to the page you want to place the plugin to. Go to page editor by clicking on the elements icon. 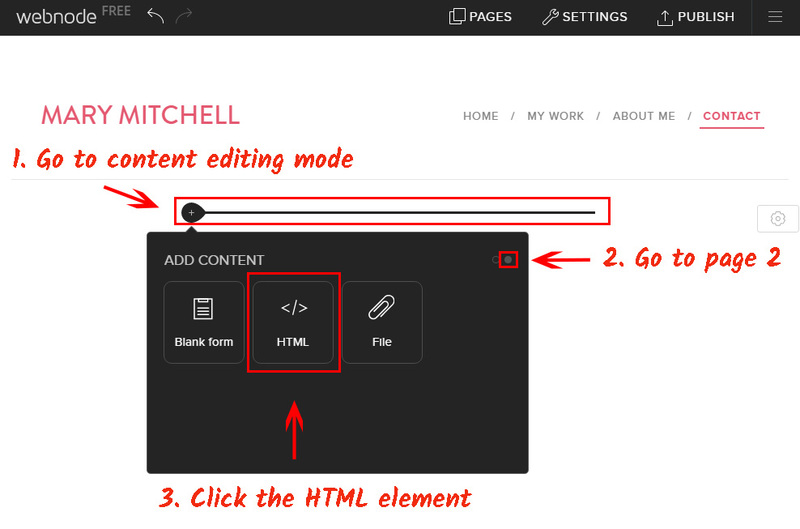 Switch to page 2 in the popup window and click “HTML”. Paste the plugin code into the window that comes up and save the changes. Drag the element to the place you need and apply the changes. • Your Instagram gallery has been installed! Go to the website to check out the results of your work! You are able to adjust the widget’s configuration or the represented Instagram page in your profile at Elfsight Apps. After you implement the edits, they will automatically take effect in your social plugin. InstaShow is a universal Instagram social widget. Display astonishing galleries by making the most out of our widget. 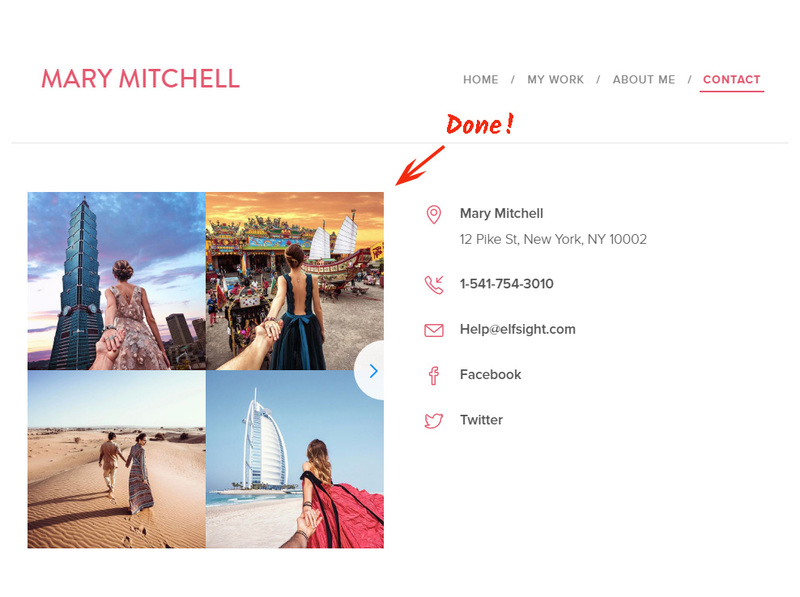 Invite your buyers with your platform’s portfolios. It is a platform with cloud solutions that will develop your website and make your business more beneficial. It only takes a couple of clicks to set up our widgets to any platform. 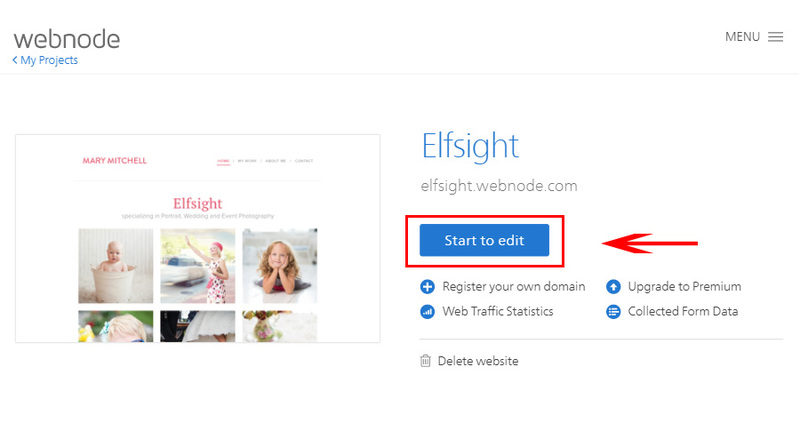 Make your web resource smarter with the help of Elfsight Apps! Get the taste of all the advantages of our app and create your perfect Instagram Feed for the website.